I wrote this as an update to a friend and I’m posting it here, since I can’t write anything else. My father is gone. My father was fighting from March, with the best medical help available assisting him. It got worse in June and he made it to my 50th on the 2nd, died on the 22nd. He was 81, his affairs were in order, had been with my mom for 60 years, had two loving sons, met his grandson and he needed to leave the pain. 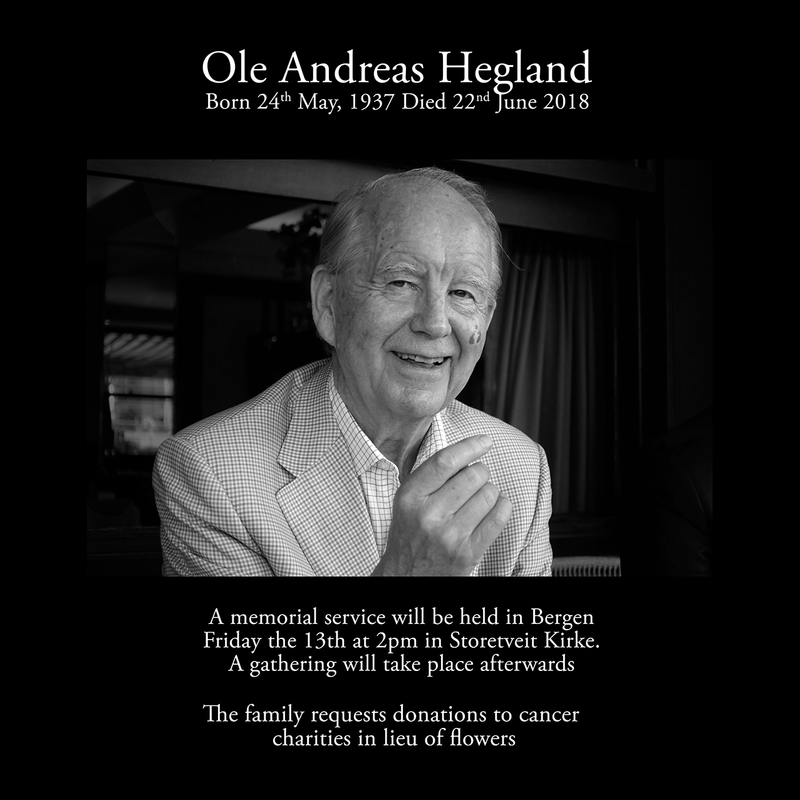 His cremation was beautiful and on Friday we have a memorial in Bergen, we are leaving in a few mins. It is as it should be, but it is very, very sad and heavy. I miss him immensely.